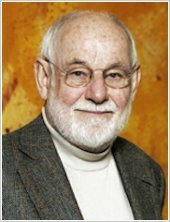 Eric Carle was born of German parents. He was always drawn to America after his family moved to Stuttgart when he was six. Carle’s childhood years in Germany were traumatic; as an adult he would make “books for the child in me, books I had longed for.” It is no surprise that his style is characterised by an explosive use of colour. During the war, his art teacher showed him his hidden collection of banned “degenerate” art, including works by Picasso, Klee and Matisse. At 16, Carle began studying graphic art at the Akademie der Bildenden Künste in Stuttgart. Returning to New York in 1952, Carle built a successful career in advertising. In the mid 1960s, Carle decided to give up this career to become an illustrator and graphic designer. His first published work appeared in a cookery book. Soon afterwards, children’s book author Bill Martin asked him to illustrate the manuscript of Brown Bear, Brown Bear, What Do You See? The resulting book was an instant hit. Encouraged by this success, Carle began submitting ideas for his own books. One of these was “Willie The Worm”. His editor suggested that a caterpillar might prove a more endearing character – the rest is history. 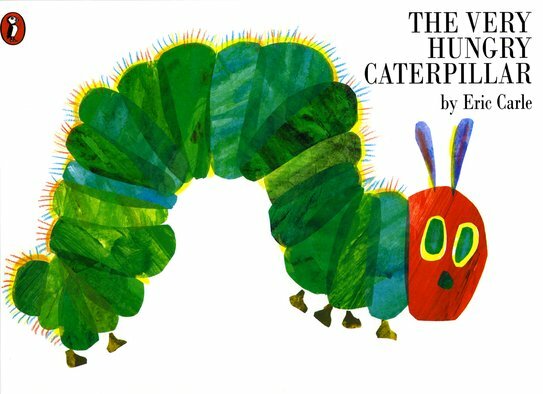 First published in 1969, The Very Hungry Caterpillar has sold over 29 million copies in more than 47 languages. Eric Carle has illustrated more than seventy books, and more than 88 million copies of his books have sold around the world.